For those of you who have been bored by this series of posts, this will be my last post on blowguns and blow darts for a while. I may re-visit this subject later. Here is the promised post about making paper cone blow darts. 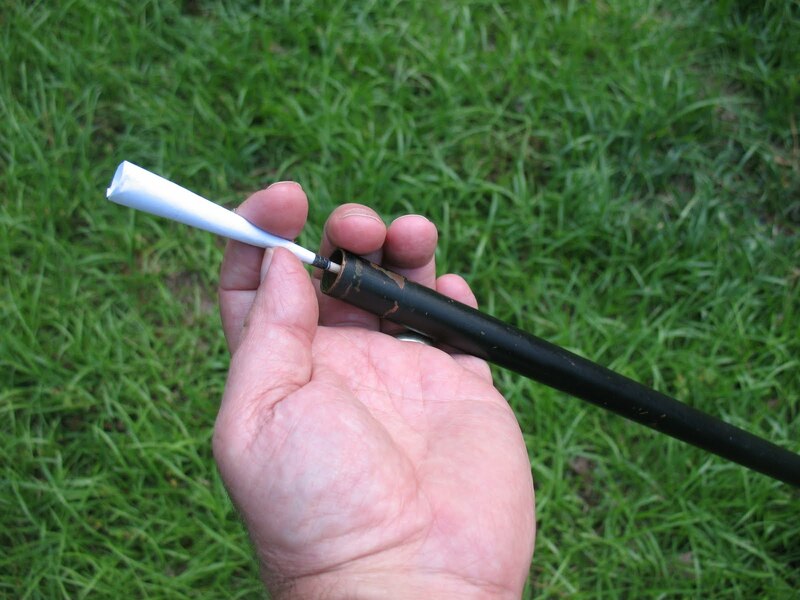 One of the easiest kinds of blow darts to make is the paper cone blow dart. Start off by cutting down your dart shafts to about six inches in length. Next make a pattern for the cone out of cardboard or stiff paper. The pattern shown below is one inch wide at the bottom, three inches wide at the top, and two and three-quarters inches long. 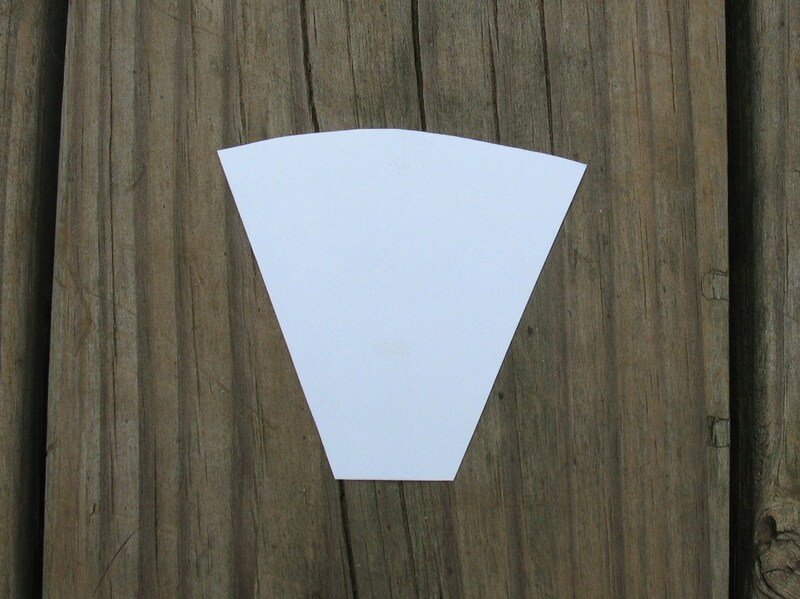 Pictured below: Pattern for paper cone blowgun darts. Trace around the pattern on regular weight paper and cut the shape out. Roll the shape around the dart shaft into a cone and glue the edge down. Now remove the shaft from the cone and drop a little glue down into the cone. Stick the shaft back up into the cone with about an inch inside the cone. Let the glue dry for a little bit, then wrap the front end of the cone with some sewing thread, tie it off, and put a drop of glue on the thread to secure it. Pictured below: Finished cone blow darts. That’s all there is to it. 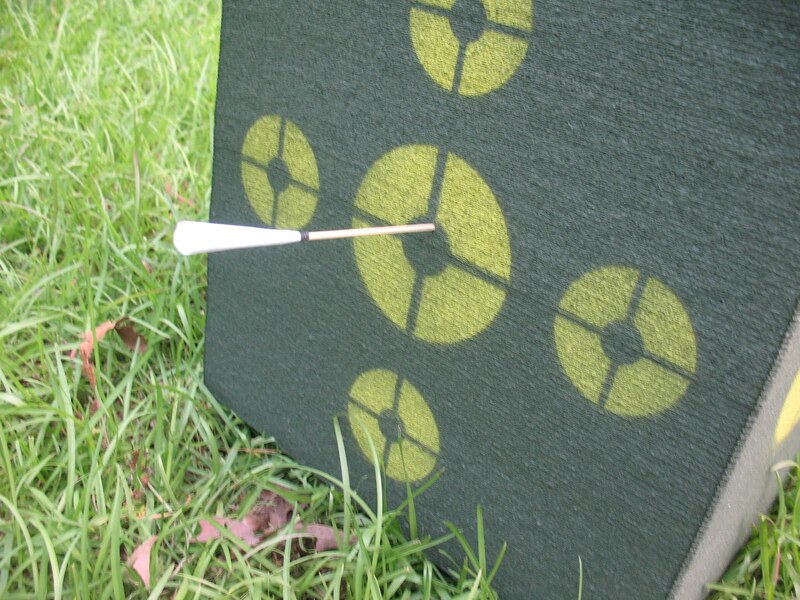 The pattern above is good for a blowgun with about a one-half inch bore (50 caliber). 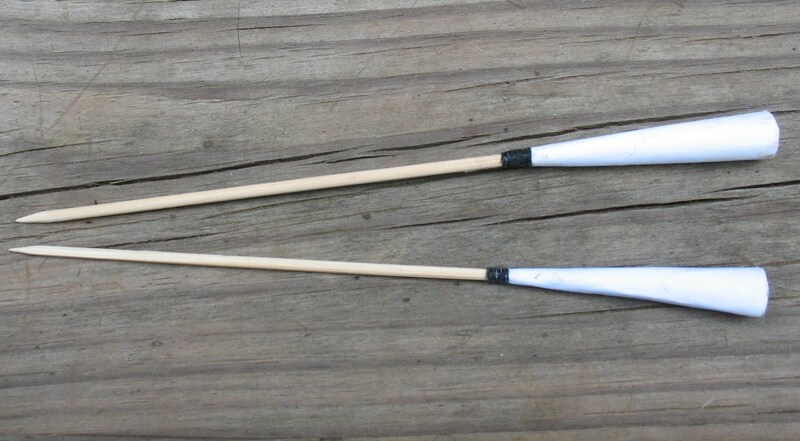 Pictured below: top, Loading cone dart in blowgun made of half inch copper tubing; bottom, blow dart in target.